All of our surgeons are board certified as fellows of the American Board of Orthopaedic Surgeons and have additional fellowship training. 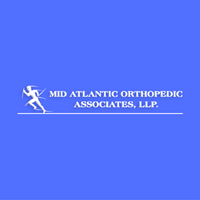 Mid Atlantic Orthopedics is the premiere office for all your orthopedic needs. The physicians at Mid Atlantic Orthopedics have extensive training and experience in general orthopedic surgery and its subspecialties including surgery of the hand and upper extremities, minimally invasive joint replacements, reconstructive surgery, arthroscopic surgery, tendon repair, hip resurfacing, ankle replacements and disorders of the foot and ankle. Dr Kenneth Klein is the worse doctor and person I ever met! I am considering filing a complaint against him on how I was mistreated, belittled and more.... he is a terrible human being! He has no respect for his patients especially women! In January, Dr. Richard Klein changed my life. Having had 3 back fusions 11 years ago by a different doctor, I got injured at work and herniated the disc above those fusions. I met Dr. Klein while hospitalized. Right from the beginning, I loved his personality and was highly impressed with his knowledge. Dr. Klein did not just jump into surgery. He tried every other option that may help. Unfortunately, it was inevitable that I needed another fusion. At the end of January, Dr. Klein performed the surgery in the least invasive way possible. Not even a month and a half later and I am feeling great! He made this miserable woman able to love her life again. The office staff is amazing also! They are friendly and so helpful. Maureen and Peggy were able to help me with the insurance company and went above and beyond for me. I am so thankful for all of these magnificent people. I highly recommend this office and Dr. Klein. I am writing this review as a healthcare provider. I am a physical therapist, and have been seeing patient's sent to PT from Dr. Klein's office for years. Dr. Klein is hands down the best orthopedic surgeon in the area. He exhausts all options available to his patients prior to recommending surgery. I find that even when he does operate, his patients have a faster recovery time than most others. Very rude Unfriendly place, I wish I would know that before I waste my time and go there. Dr. Klein takes the time to explain everything to his patients. He does not "rush" into surgery, but exhausts all other options first. He has a wonderful "bed side manner" and helps put his patients at ease with his knowledge and personality. On August 1, 2012, I was in a serious car accident and had emergency surgery performed by Dr. Larry Bloomstein on a broken radius and ulna. I had other injuries as well, but this was the most serious. The surgery went well, although I think the team must have spent hours picking glass out of my arm. Dr. Bloomstein’s aftercare helped me piece my life back together. I was afraid to drive again and because my baby had been in the car, although unharmed, I somehow became terrified that my family was in immediate danger. Dr. Bloomstein asked me to think about seeing a therapist, and to start exercising and journaling to work though the trauma. He also cautioned me about the dangers of the pain medication I was on. I quickly started to taper off of these and realized my pain was manageable without medication. I took his advice and in fewer than three months, I was back at work, enjoying my life, my career and most of all my family. Dr. Bloomstein played a large role in my overall recovery. I changed Doctors because because I was having the same issues over and over with my previous Doctor. Dr Levine was excellent. He explained my issues I have and he was more thorough. I have a lot of confidence in him. Also he took x rays right there without a lot of hassle. The issue I came there to address. So far so good. Dr. Bloomstein is caring, compassionate, knowledgeable and experienced orthopedic trauma surgeon. You can trust him to provide excellent medical care. His concern for his patients and their family goes far above and beyond what is expected. Great friendly accommodating office staff. Dr.Richard Klein is miracle worker with my back. Takes the time to explain everything and is very thorough and genuine.